Oblique hanging compartments are the "top of the line" solution to the problems of document management. 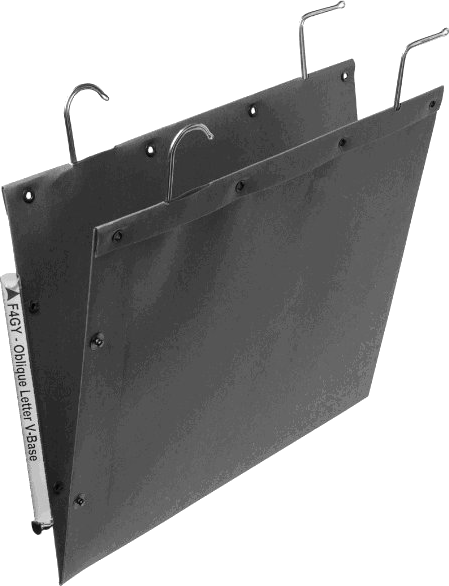 They are the only hanging files in the world which carry a manufacturer's Ten Year Warranty. Each compartment is rated to hold 20-25 pounds in weight. Capacity is based on the size of materials. With over 80 styles and sizes available from 7 1/2" x 12" up to 24" x 40" there is an Oblique compartment perfectly suited to meet your needs. Oblique compartments come in over 80 sizes and styles. With so many to choose from, you can find an Oblique compartments to exactly suit your needs. Flexible v-base compartments cradle contents, protecting valuable materials and wasting no extra space. No space is wasted. Flexible hanging compartments conform to the shape and capacity of your materials. With a 10 Year Manufacturer's Warranty, Oblique compartments are guaranteed to cost justify your investment. Durable construction ensures they will be around for a long time. Hanging rail assembly system allows Oblique compartments to be installed virtually anywhere! Shelving, cabinets, mobile systems, vertical carousels, rotary cabinets, homemade shelving, etc. Made of 220 gr/m² kraft manila. Snapping system with connecting steel/plastic tabs that hold the compartments together. Magnifying label-holder, 6 inches in length. Steel wire suspension tips, very stable and resisting heavy loads. Easy file insertion in tube suspension system cabinets. 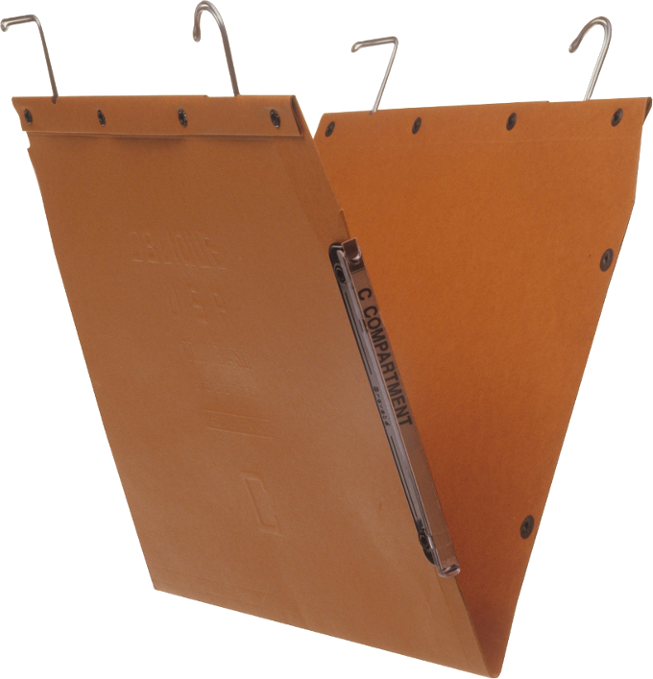 Exclusive file assembly with tear-proof metal rivets. 5 standard bases: V, 30mm, 50 mm, 80mm, and 90mm Box-bases reinforced with riveted black card.